A candle lit vigil will be held tonight after two children and a man were found dead at a home in Hinckley. It's day 2 of the investigation after the bodies were found in a house following reports of a disturbance on Tuesday night. Leicestershire Police attended the address in Welwyn Road at 9.30pm after calls from concerned residents. Contact was made with a man and woman in the house. In the early hours of Wednesday morning a woman, who was found to have been injured, was taken to hospital. Negotiators and specialist officers were sent to the scene on Tuesday night, but when police gained access to the house a man was found dead in the property. A search of the property also uncovered the bodies of two children. They've all been named locally as 43-year-old David Stokes and his two sons, 5-year-old Matthew and 11-year-old Adam. The woman in hospital is believed to be Sally Stokes, David’s wife and the children’s mother. She remains in a stable condition. Forensic examinations are being carried out at the scene, and the cause of death is not yet known. Officers are not looking for anyone else in connection with the incident. The two boys attended St Mary’s CE Primary School, and the headteacher, Rachel Ayres, said: “Everyone at St Mary’s is devastated by the tragic news about our pupils, Adam and Matthew, and our sincere sympathies are with their family and friends. As officers had been in contact with the man and the woman, the Independent Police Complaints Commission has been informed. 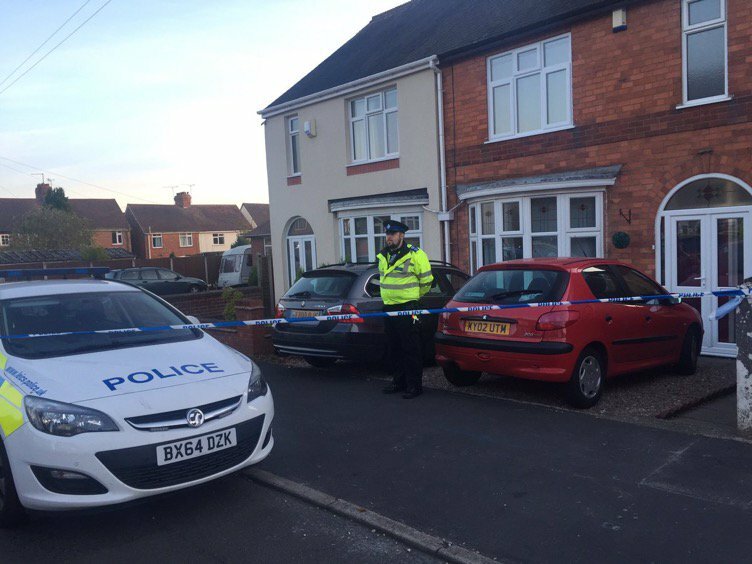 Detective Chief Superintendent David Sandall, head of Leicestershire Police's crime and intelligence directorate, said: "A number of inquiries are now under way to understand what caused the three deaths, and the circumstances surrounding the events of last night in the house.